Liberal Democrat and Conservative peers seeks to bring into the bill an internet infrastructure similar to that currently enjoyed in authoritarian countries. Left Foot Forward has previously highlighted many of the flaws within the Digital Economy Bill currently going through parliament. The latest proposed amendments by Liberal Democrat and Conservative peers seeks to bring into the bill an internet infrastructure similar to that currently enjoyed in authoritarian countries around the world establishing a national blocklist of sites. Inclusion on the blocklist would be based around accusations of copyright infringement with no apparent process of redress to remove a site from the blocklist. 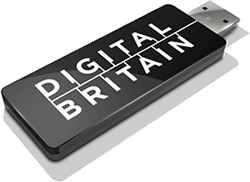 Lord Clement-Jones talked about his party’s position on the Digital Economy Bill on LibDem Voice. Clement-Jones tries to excuse this tactic, more associated with North Korea than Clapham North, by pointing to the list of recommended blocked sites currently held by the Internet Watch Foundation. However, vague accusations of copyright infringement are not the same as the serious child sexual abuse content that Internet Watch Foundation deals with. Many of the sites discussed are used by consumers and businesses for perfectly legitimate reasons. And in common with the technological solutions used by authoritarian regimes can be circumvented through the use of free proxy servers or low-cost foreign virtual private network services. Typical Lib Dems. They are supposed to be about freedom and civil liberties, but their love of the market and of money always tips them into the camp of the industry lobbyists. Free Groceries, etc. – The Empire (WalMart) Strikes Back! I hope you are going to update your coverage fairly to include the debate at LibDem Spring conference which reaffirmed the party’s commitment to open access to the internet and the further amendments tabled by LibDem peers as a result. This confirms that the Liberal Democrats are living up to their name and offering a positive challenge to the authoritarian policies of Labour.